Every industry needs people who know how to balance the time, money, and scope of their various projects. But how do you gain those sorts of skills? For many, the solution is to complete a Bachelor’s in Project Management degree program. Project Management is a degree uniquely designed to give graduates experience in organization, communication, statistics, project design, and managerial skills. However, most Project Managers also have industry specific knowledge for their chosen field, which varies widely from construction to human resources to engineering. With such a vast range, many project managers seek bachelor’s degrees to compliment their existing knowledge base or as a dual degree program. Regardless of what brings you to project management, a bachelor’s degree is sure to give you necessary skills to progress in your career. Will a Bachelor’s in Project Management help advance my career? A Bachelor’s in Project Management is a great addition for someone already employed or with experience their industry since many project managers also specialize in a certain field. Many fields require both additional experience and degrees in order to advance into managerial positions. A degree in project management is one great way to move into more advanced positions. Project Management courses give students more knowledge in statistics, communication, planning, and organization that they can apply to any occupational project. Many bachelor’s programs, including a number on our ranking below, also build towards project management certificates. These certificates can ensure that a graduate’s education is recognized throughout many industries across the nation or even internationally. What are the job prospects for Bachelor’s in Project Management degree holders? Project Managers work in all types of industry, and often have additional specializations in those industries, like construction, information systems, or business. With that in mind, pinning down specific job prospects if hard to do because there are so many project managers. The percent of growth for project managers varies widely by field, but is generally expected to be above the national average. For instance the Bureau of Labor Statistics estimates that computer and information systems managers will see a 12% rise in employment between now and 2026, while financial managers will see a 19% increase. In comparison, the national average for all occupations is 7%. That means recent graduates from project management degrees have a lot of opportunities available to them. According to the Project Management Institute, project managers reported an annual median salary of $96K. That average also varies widely depending on industry. For instance, public relations managers have a median pay of $100K, while computer and information systems managers have a median pay of $135. Many Project Managers also see increases in salary as they gain more experience at the management level. Often positions that Project Managers advance into vary by field. Some example advanced positions include Senior Project Managers, Engineering Managers, Operations Managers, and Construction Managers, among many others. What is the common curriculum for a Bachelor’s in Project Management? Many project management degrees include similar curriculum, whether they are stand alone degrees or a specialization within another degree. Project Management students can expect to take some general business courses, like management, finance, statistics, and marketing. Almost all project management degrees also require core courses more closely related to running large projects. For instance, many project management students take courses in risk management, procurement services, contracts, resources, and team leadership. Many project management degrees, whether they are stand alone or specializations, also require internships. By integrating internships into the curriculum, project management students can be sure to gain hands-on experience with project management before they graduate. Many Project Management degrees at the bachelor’s level are found as specialities within another bachelor’s degree programs. Most often, project management specializations are found as part of business degrees. In these programs, standard curriculum requires coursework like business ethics, business law, economics, finance, marketing, and accounting, among other business specific courses. Another common location for project management specializations is in computer science and information technology bachelor’s degrees. In these degrees, students must also take classes in informations system, programing, software design, and information security. 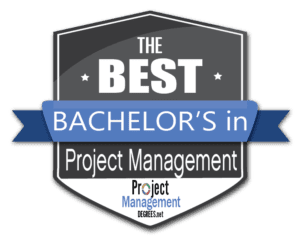 For this ranking, we narrowed our focus to online degree programs because many students in Project Management already work full time in their field. The results are the culmination of a multi-dimensional metric system, which uses data compiled from individual program sites and international educational databases. With that information in hand, we focused on two major objectives. First, we wanted to know whether or not the school’s tuition, flexible options, and available financial aid made it a viable choice for online students. Second, we looked the academic prestige of the institutions we sampled through accreditation, class size, and graduation rates among other data. You can find a more thorough explanation of the methodology we used below. 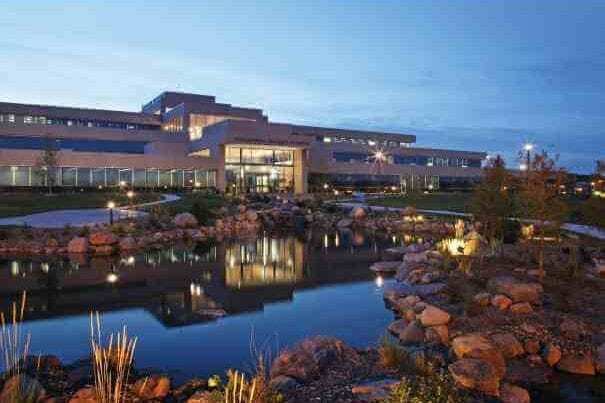 Regis University is a private Catholic Jesuit university in Denver, Colorado. Founded in 1877 by the Society of Jesus, Regis University continues its Jesuit education commitment to its over 8,000 students. Regis is known for having a long history of community service in association with the Archdiocese of Denver, the Center for Service Learning, and the Institute on the Common Good. Today, Regis University is made up of 5 colleges, including Regis College, Rueckert-Hartman College for Health Professions, the College of Contemporary Liberal Studies, the College of Computer and Information Sciences, and the College of Business and Economics. Regis University also offers a range of fully online degree programs, one of which includes a Bachelor’s in Business with a Project Management specialization. All Regis online project management institutions take courses in general business, accounting, microeconomics, and business communication. Students also take project management specialization courses and can choose to add a second specialization in areas like finance human resource management, or marketing to further customize their degree. Regis’s online Project Management degree prepares students for work in the public sector, nonprofits, the government, or for international corporations. One of Liberty’s many online programs includes a Bachelors in Business Administration with a specialization in Project Management. This fully online program prepares students for careers as project managers, project schedulers, and in business marketing. Students in the project management program take general business classes including corporate finance, principles of management, and organizational ethics. Additionally, students take courses in foundations of project management and leading global projects, as well as electives, to further specialize their degrees. Ashford University is a for-profit university in San Diego, California. Ashford offers over 50 fully online degree programs from the associates to the master’s level. 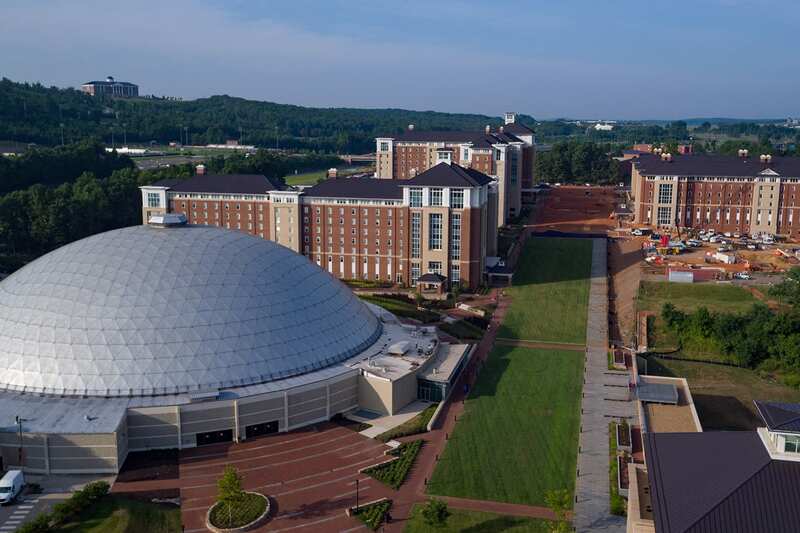 The university consists of four colleges including: the Forbes School of Business, the College of Education, the College of Health, Human Services, and Science, and the College of Liberal Arts. With nearly 50,000 students, Ashford has a lot of options for students to explore, and as a completely online university, students can also be confident that their courses will meet their busy schedules. 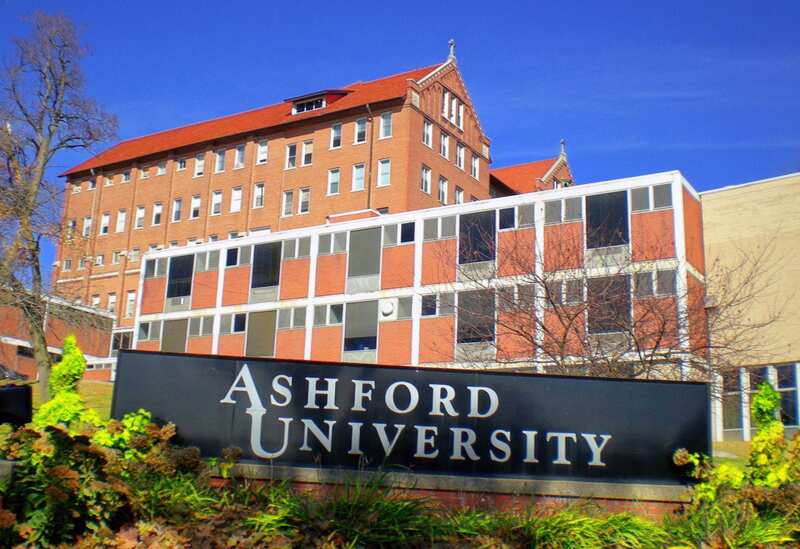 One of Ashford’s online programs is a Bachelor’s in Project Management. Online students benefit from up to 90 hours of transfer credit and 5 week courses, allowing them to shorten their time-to-degree. Project Management students learn general principles like cost management, task control, effective communication, and business knowledge. Online project management students also learn the best practices to initiate, plan, and execute a well-documented project, team management strategies, ethics in project management, and using business data and relevant technology to improve project management strategies. Columbia Southern University is a for-profit college specializing in distance education in Alabama. Founded in 1993 offering degrees in environmental engineering and occupational safety, Columbia Southern University today offers over 26 degrees from the associates to the doctoral level. With Nearly 20,000 students, Columbia Southern University has a lot of options for students to explore their interests. At the same time, the university’s focus on distance education means that students can also be confident that they will find a degree program that fits their busy schedules. 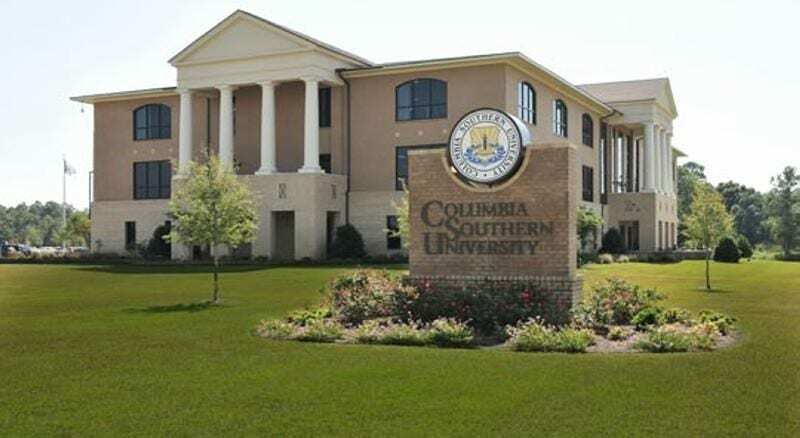 One of Columbia Southern University’s online programs includes a Bachelor’s in Business Administration with a specialization in Project Management. Students in this fully online bachelor’s program take general business administration courses like information systems, business law, ethics, and human resource management. For the project management specialization, students also take classes in project planning, risk management, and procurement and contract management, as well as several electives to further specialize their degrees. Online students at Columbia Southern finish their degrees with an understanding of how to motivate people, integrate complex projects with business strategy, and achieve cost-effective results. One of Saint Leo’s many online programs includes a Bachelor’s in Business Administration in Project Management. In this fully online program, students take general business administration courses in addition to courses within their Project Management specialization. Saint Leo online students can also choose a second specialization in accounting, logistics, management, marketing, and technology management. Project Management students take courses in logistics management, risk management and cost analysis, procurement, quality improvement, and implementation and applications courses. All Saint Leo Business Administration students are also encouraged to seek out internships. Saint Louis University or SLU is a private Catholic research university in St. Louis, Missouri. Founded in 1818, SLU is the oldest university west of the Mississippi River and the second oldest Jesuit university in the nation. As a Tier 1 research university, SLU’s faculty are at the top of their fields. While SLU is known for its medical school, over 20 of SLU’s graduate and undergraduate programs are ranked in the top 100 in the country. That means regardless of field, students can be sure of the high quality of their Christian education. SLU offers a range of adult education degree programs in fully online formats. One such project is a Bachelor’s in Project Management. Students in this fully online program take courses in project management fundamentals, contract supplier administration, industry certifications, and data analysis. 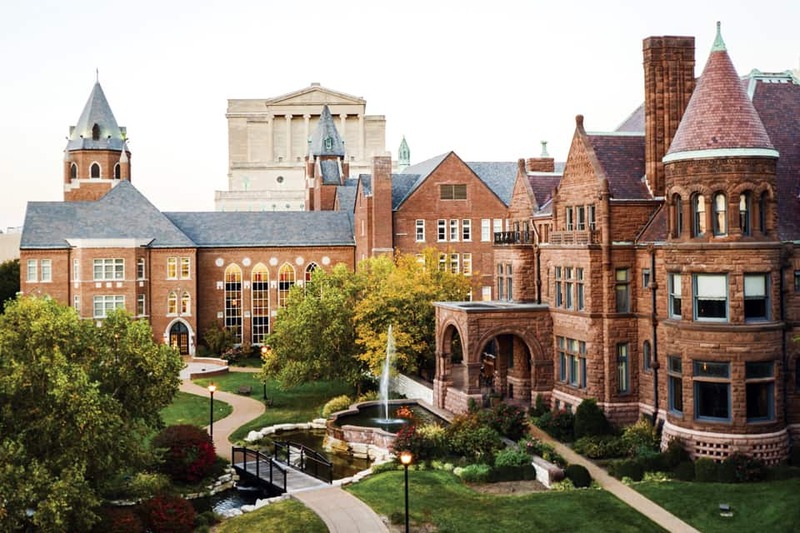 Students in this program gain certification, like Project Management Professional (PMP) and Information Technology Infrastructure Library (ITIL) certifications, through coursework in the Saint Louis University Workforce Center. That means SLU project management students complete their degrees with hands-on experience in their industry and sought after certifications. Embry-Riddle Aeronautical University, or ERAU, is a private university system offering degrees ranging from the associates to the doctoral level. ERAU was founded in 1925 by the Embry-Riddle Company out of Cincinnati, Ohio. 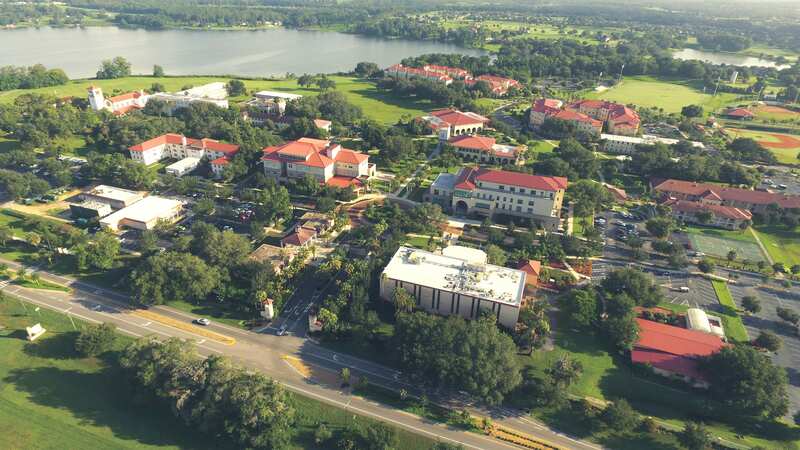 ERAU has several campuses, including their Worldwide campus devoted to their over 22,000 online students. ERAU Worldwide offers 40 degree programs covering a variety of areas from aviation to business to security. ERAU is known for its aviation and engineering programs, as well as its several programs in logistics and business administration. One of the degrees offered by ERAU Worldwide is a Bachelor’s in Project Management. ERAU project management students learn concepts such as cost management, human resources, stakeholder management, and procurement services. All ERAU courses are taught by certified Project Management Professionals. Students complete core business courses like finances, business law, and marketing, in addition to project management specific courses, including special courses like aviation operations. ERAU students who also wish to complete a master’s degree can enroll in a 4+1 option that allows them to complete their master’s degree in only 1 year after finishing their bachelor’s degree. Wentworth Institute of Technology is a technical design and engineering university in Boston, Massachusetts. 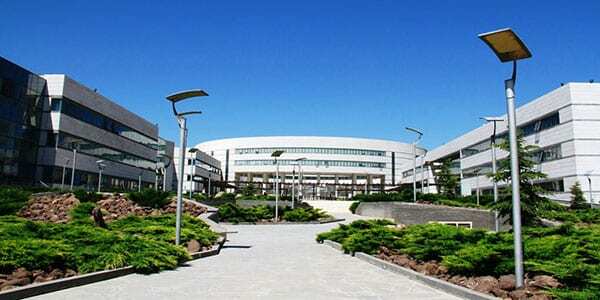 Founded in 1904 as a career-focused educational institution, WIT today is composed of 14 academic departments still dedicated to engineering, computer science, construction, and business, among others. Regardless of degree program, all Wentworth students complete two semesters in work placements to ensure they finish their degrees with hands on job experience. That means Wentworks over 4,500 students have all the benefits of a small university while still having the variety of resources available at a large school. Wentworth offers a variety of fully online degree programs. One such project is a Bachelor’s in Project Management. Students have the option to complete this degree part-time and is available fully online or on campus, whichever option best suits their needs. Wentworth students can also transfer up to 80 credits into the program to further shorten their time-to-degree. Project Management students take core management classes like business management, project management, and organizational behavior, as well as other courses like professional communication, risk management, and project evaluation. Bellevue University is a private, nonprofit university in Nebraska, focused on adult education and educational outreach. That means they take online education seriously, which shows in the number and variety of degrees offered 100% online. Bellevue has a little over 10,000 students, most of which are at the undergraduate level. Ranging from bachelor’s to doctoral degrees, Bellevue’s online offerings work for all of their students. One of Bellevue’s many online programs includes a Bachelor’s in Project Management. This fully online program is accredited by the Global Accreditation Center for Project Management, and the Project Management Institute. Online project management students take courses in fundamentals of project management, project quality and costs, risk management, and applied project management. Students complete the program knowing how to initiate, plan, and execute a range of projects, as well as how to engage in effective communication across an interdisciplinary team. Marist College is a private liberal arts college located in Poughkeepsie, New York. Founded in 1905, Marist was formed by a Catholic religious institute of Brothers to prepare students to become educators. By 1929, Marist College began offering a wider range of degrees, eventually becoming a comprehensive liberal arts institution. Today, Marist offers over 44 bachelor’s degrees, 12 master’s degrees, and 21 certificate programs. That means their nearly 7,000 students have a lot of options to choose from, including study abroad programs at Marist’s Italy campus. Marist College also offers a variety of online degree programs, including a Bachelor’s in Professional Studies in the area of Project Management. Online project management students take courses on economics and social issues, human resources, business law, organizational management, and project management. Online courses are also in 8 week sessions, meaning students can greatly shorten their time-to-degree. In some cases, students can also gain credit for prior learning experiences, as well as transfer credit which can further degrees their time-to-degree. Baker College is a not-for-profit college in Michigan, founded in 1911. Initially designed as a business school, Baker College today maintains its commitment as a career college. At the same time, Baker still offers a full range of programs across their 8 colleges and schools. Baker offers more than 150 degree programs ranging from the associate’s to the doctoral levels. With over 23,000 students, Baker offers a lot of options to explore across its nine campuses and online programs. 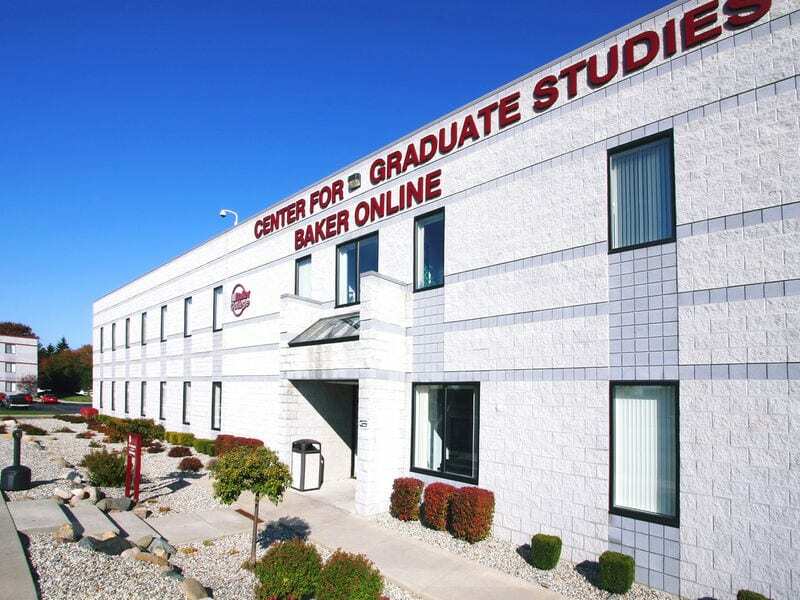 One of Baker’s online programs is a Bachelor’s in Information Systems with a concentration in Project Management. Online project management students take core classes in information systems like system modeling, database management, computer operating systems, and programming. Additionally, for the project management concentration students also take classes in negotiation strategies, project planning, leading project teams, and contract and procurement management. Students leave Backer’s project management online degree program ready for careers overseeing information systems projects. Bachelor’s in Information Systems – Project Management. Colorado State University is a public research university in Fort Collins, CO and the flagship university of the Colorado State University System. With more than 37,000 students, CSU can offer the type of flexibility students needs, especially online. As a Tier 1 research university that is committed to investing more and more in research, students can be sure that their professors are some of the best in their fields. That commitment to providing quality education carries over to CSU’s online programs. One of CSU’s online programs includes a Bachelor’s in Project Management. Online project management students take courses in principles of management, project management tools, procurement, quality management, as well as capstone and practicum courses. Project management students can also choose from over 20 additional specializations like public relations, marketing, hospitality management, healthcare management, and criminology. These additional specializations allow for students to further customize their degrees to best align with their career goals. CSU’s online students prepares students to sit the Project Management Professional certification exam. 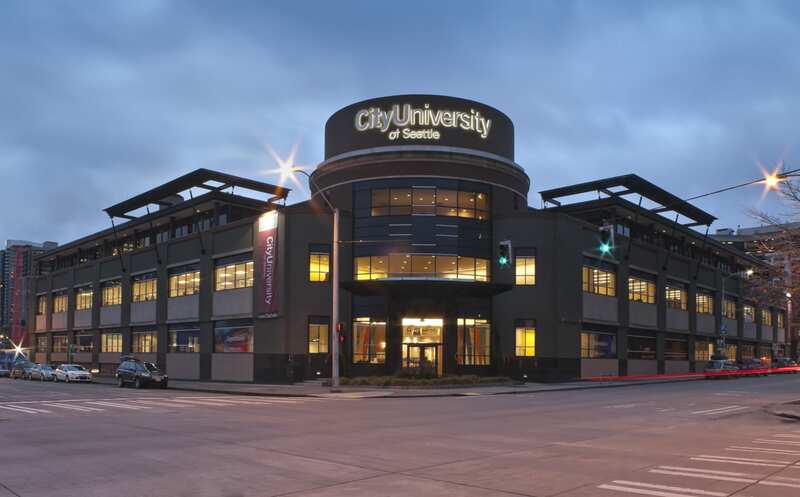 The City University of Seattle also known as CityU, is a private university based in Seattle, Washington. 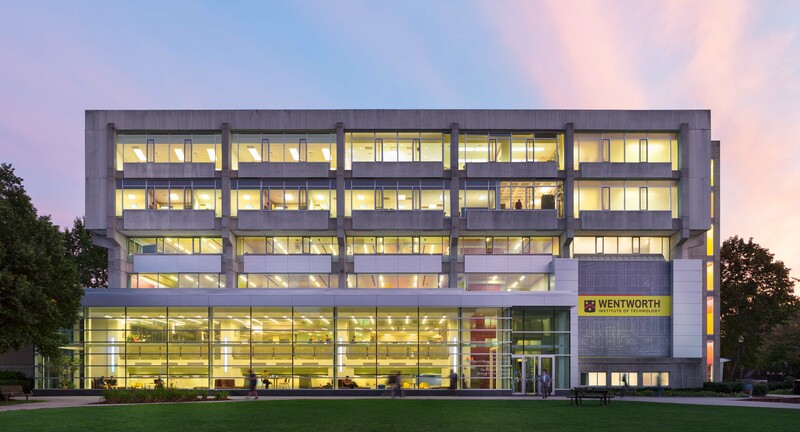 CityU consists of the School of Management, the Albright School of Education, the School of Arts and Sciences, the School of Applied Leadership, the Technology Institute, and the Washington Academy of Languages. That means that CityU’s nearly 7,000 students have a lot of options to choose from when it comes to their degree. Those options include degree programs offered fully online as well as study abroad programs in Canada, China, the Czech Republic, Mexico, Slovakia, Switzerland, and Vietnam. CityU offers many online degree programs, including a Bachelor’s in Project Management. CityU prepares its project management students through courses like risk and change management, leadership and teams, effective communication strategies, and project scheduling. Project Management students also have the option to add an information technology emphasis that requires additional coursework in data management, systems analysis, and IT service management. Through this additional emphasis area students can further specialize their degrees to best suit their career goals. Online project management students are prepared to sit the Project Management Professional certification exam at the end of their degree. 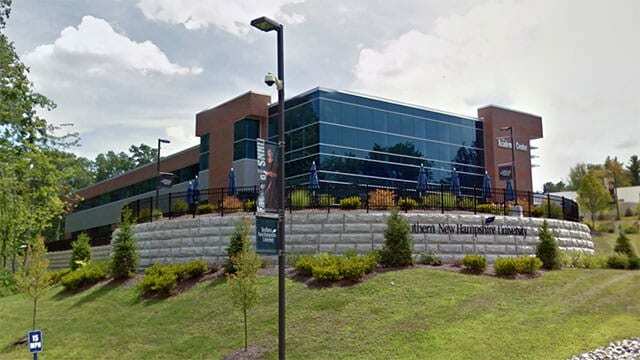 American Intercontinental University, or AIU, is a for-profit, open admissions university. AIU offers a variety of degrees from associate’s level to master’s degrees. Founded in 1970 in Switzerland, AIU was initially known as the American Fashion College of Switzerland and opened a second campus in Atlanta, Georgia several years later. Over the years, AIU opened several other campuses and expanded its course offerings. Today, AIU has over 15,000 students across multiple campuses including a fully online Virtual Campus. AIU’s Virtual Campus has been recognized due to its all online course materials, support, and recently, due to its launch of an adaptive learning technology to further customize courses based on student experience. One of AIU Virtual Campus’s online degrees is a Bachelor’s in Business Administration with a specialization in Project Management. AIU online students take core business courses like managerial accounting, financial management, human resource management, and information systems. With the project management specialization, online students also take classes in materials planning, project management, contracts and procurement, and quality management. AIU online students can also take advantage of several flexibility enhancing components including transfer credit and prior learning credits, both of which can shorten your time-to-degree. 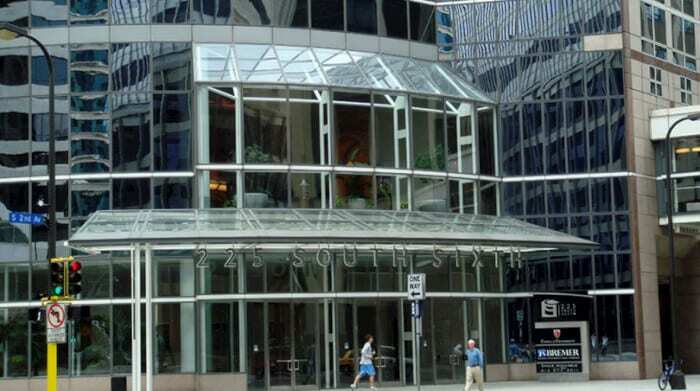 Capella University is a for-profit, online institution in Minneapolis, Minnesota. Originally established in 1993 as the Graduate School of America, capella eventually adopted a new name and expanded its course offerings. Capella’s nearly 36,000 students can choose from between 142 undergraduate and graduate specializations and over 1600 online courses. While most of Capella’s study body is made up of graduate students, Capella still has a significant undergraduate population and a host of degree programs at the associate’s and bachelor’s level. Capella also has a lot of non-traditional students with an average age of 40, and 54% of students identify as an ethnic minority. One of Capella’s online degree programs is a Bachelor’s in Business with a specialization in Project Management. Project management students take general business classes, as well as special courses on stakeholder management, scheduling, cost, and quality management, and project scope management. Online project management students are prepared to take several certification exams through the Project Management Institute, for which Capella issues vouchers so students can take the exams for free. Online students can also take advantage of several flexibility enhancing components like taking courses at their own pace, including setting deadlines, thus accelerating their time-to-degree. Southern New Hampshire University, or SNHU, is a private university between Manchester and Hooksett, New Hampshire. The university was initially founded in 1932 as a for-profit business school. The school became nonprofit in 1968 and slowly added more degree programs outside of business. Today, SNHU offers undergraduate and graduate degrees across their 6 schools, including many online degree programs. With an enrollment of nearly 73,000 students, most online, SNHU offers a significant amount of fully online degrees that include enough variety for students to really explore their interests. One of SNHU’s online degree programs is a Bachelor’s in Operations Management with a focus in Project Management. Online students take core business classes like supply chain management, sustainable operations, contracting and procurement, and management science. Project Management students also take additional electives in project management that further prepares students to prepare the Project Management Institute Certified Associates exam to give them a more competitive edge on the job market. 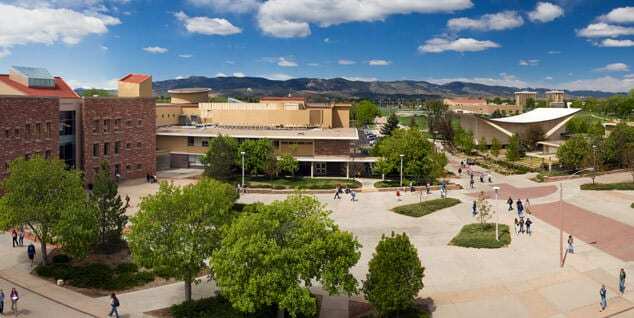 Colorado Technical University is a for-profit university in the United States. Founded in 1965, CTU offers undergraduate and graduate degrees primarily in business, management, and technology. Initially, CTU was designed to educate former military personnel in technical and vocational subjects. CTU continues that commitment to educating veterans, recognized as one of the best universities for veterans in the nation. Today, CTU has nearly 25,000 students across degree programs in business and management, engineering, health sciences, information systems, security, and project management. CTU offers a range of online degree programs, including a Bachelor’s in Project Management. Online students in this degree program take core business courses like accounting, business trends, organizational management, and human resources. Project management students also take courses like risk management, quality assurance, and contracts and procurement. CTU students can also take advantage of several flexibility enhancing components like transfer credit and Fast Track options that allows students to complete their degrees 30% faster than they would otherwise. Columbia Basin College is a community college based in Pasco, Washington. The school was established in the 1950s to serve Benton and Franklin counties, as well as a former Naval Base. Over the years, CBC expanded its student body and program offerings. Today, CBC boasts nearly 8,000 students, as well as facilities for technology, a planetarium, an observatory, a research farm, and technical education. CBC also has special programs for dual enrolled high school students, active military and veterans, international students, and students 60 years or older. CBC offers a variety of online degree programs including a Bachelor’s in Project Management. Through flexibility enhancing components, many CBC students finish their bachelor’s degrees in only 3 years. Online project management students take courses in project planning and execution, quality management, risk management, Primavera, earned value monitoring, and project management internship. Because online students must also complete a project management internship, students can be sure that when they complete CBC’s project management program that they also have hands-on job experience. 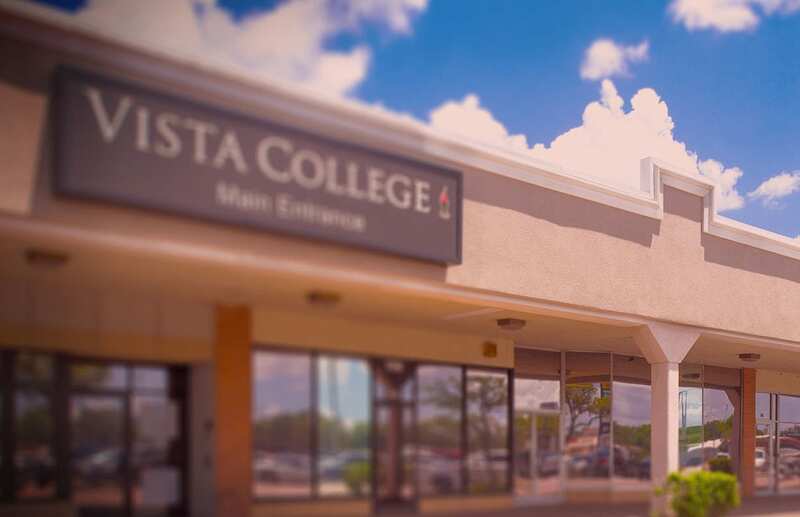 Vista College is a career focused college with campuses in Texas, New Mexico, Arizona, and online. Vista specializes in areas of healthcare, business, technology, legal, and various trades. With that kind of focus, students can be sure that they get hands on experience, while also having shorter time-to-degrees than many traditional universities. In fact, most degree and certificate programs can be completed between 10-20 months. Vista College online is further designed to shorten your time-to-degree, with classes starting every 5 weeks. One of Vista College’s online degree programs includes a Bachelor’s in Project Management. Online project management students learn how to define a project’s objectives, measure results, establish budgets and project timelines, and effective communication. Graduates from Vista’s online project management program are prepared to enter careers in IT, manufacturing, construction, and other related project management positions. Vista also offers several flexibility enhancing components like transfer credit and professional training to help shorten your time-to-degree, as well as further customize your degree to fit your career goals. Brandman University is a private, non-profit university specifically designed for working adults. 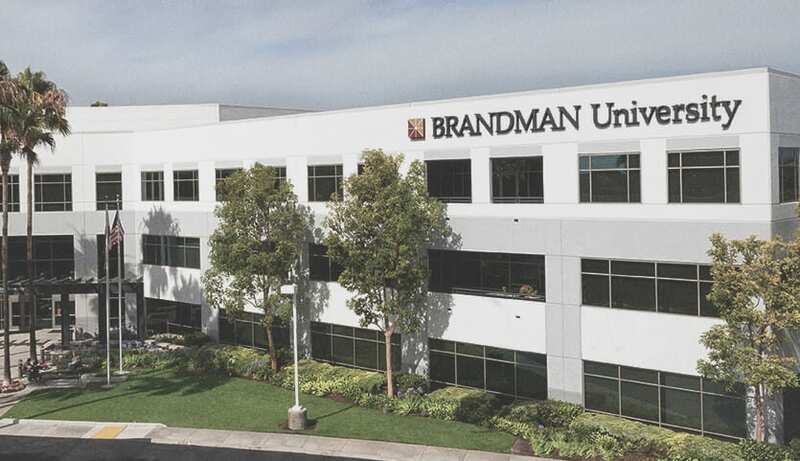 Established in 1958 to serve El Toro Marine Corps Air Station, Brandman today is a separate university within the Chapman University System. With over 25 campuses in California and Washington and an online campus, Brandman approximately 11,000 students can be sure they can find a degree program that fits in their busy schedules. Brandman also offers more than 50 degree, certificate, and professional programs in business, arts and sciences, health, and education. Brandman offers a lot of online degree programs, one of which is a Bachelor’s in Computing Technology, Project Management. Online students take classes in organizational communication, object-oriented programming, statistics, management, and team building. Students with the project management emphasis also take classes in risk management, project work structure, and information systems. Online students leave the program able to apply logical reasoning to IT problems, analyze data, build project models, and integrate project management with information systems. Students can also take advantage of flexibility enhancing components like multiple start dates and accelerated coursework to shorten their time-to-degree.